The egg featured on Instagram garnered more than 50 million likes. On Jan. 13, 2019, Kylie Jenner’s 18-million-like record on Instagram was broken… by a picture of an egg. 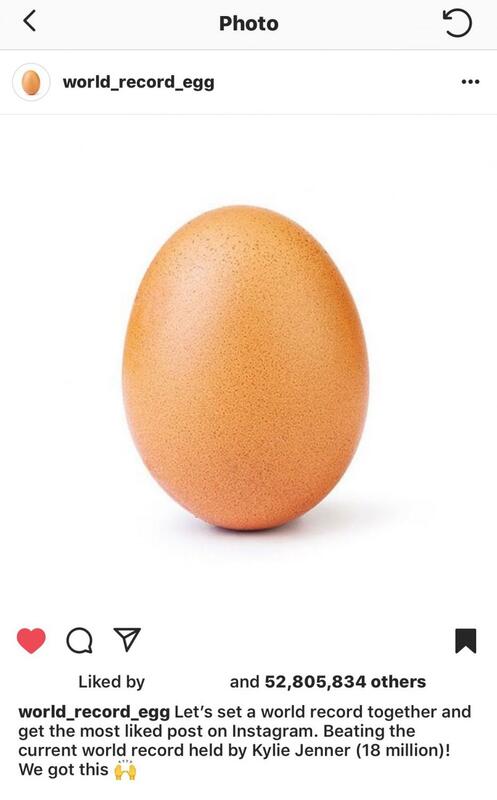 The account, @world_record_egg, posted a picture with one goal in mind: get the most likes on Instagram. On Jan 18, however, the account posted another picture which showed the egg beginning to crack. This led so many people to wonder what could be in that egg. On Feb. 1, however, the account posted another picture of the cracking egg with a caption explaining that the egg will hatch in a Super Bowl Commercial only available on Hulu. When the commercial did air on Feb. 3, during a commercial break of Super Bowl LIII, the viewers were in for a surprise. The commercial showed the egg talking with dialogue bubbles. As it was cracking, the egg said that the stress of social media was getting to him and eventually fell apart… with nothing inside. Although the egg did not hatch a physical being, it then gave a link to a website and advised people who are struggling with similar issues to visit it. The site, talkingegg.info, is available in the world’s most popular languages and in the largest countries. It lists suicide prevention hotlines along with other numbers that provide help to those dealing with stress, anxiety, depression, etc. While the egg may have started out as a joke, it has accumulated more than 50 million likes, blowing its original 18 million-like goal out of the water. The account has also recognized its audience, using its popularity for good in the world. In case anyone missed the commercial, it is available on the egg’s Instagram account. 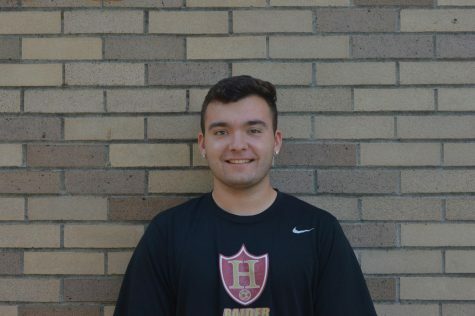 Any student struggling at HHS can use the free site or visit with their Student Resource Counselor. Everything is anonymous.